It's all very impressive, but these spectacular effects are not why I watch BSG, which is primarily a show about personal relationships in a science-fictional setting. 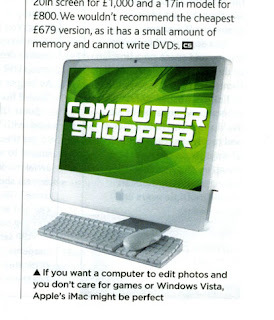 I've read the UK edition of Computer Shopper from the very first issue, when it came on saddle-stapled newsprint and cost only 50p. 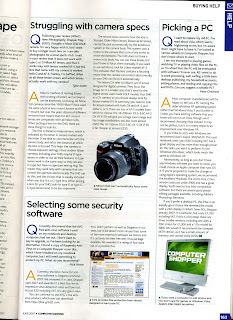 Since the passing of all those fondly remembered home computers such as the ubiquitous BBC Micro and Sinclair Spectrum, and the not-so-ubiquitous Oric, Memotech and (one for the uber-geeks) Jupiter Ace, Shopper became -- and has remained -- PC-centric.